God's love for us is poured out in the sacrament of the Eucharist, where Christ is truly present for us, giving us life and healing. 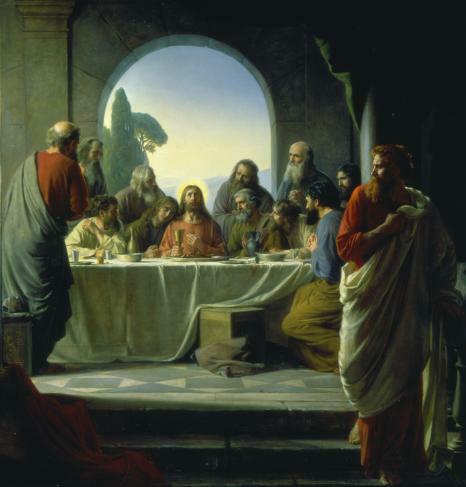 The mode of Christ's presence under the Eucharistic species is unique. It raises the Eucharist above all the sacraments as "the perfection of the spiritual life and the end to which all sacraments tend." In the most blessed sacrament of the Eucharist "the body and blood, together with the soul and divinity, of our Lord Jesus Christ and, therefore, the whole Christ is truly, really, and substantially contained." "This presence is called 'real' - by which is not intended to exclude the other types of presence as if they could not be 'real' too, but because it is presence in the fullest sense: that is to say, it is a substantial presence by which Christ, God and man, makes himself wholly and entirely present." In many ways, Our Lord, is calling us to worship and receive Him in the Eucharist. He speaks this desire in many ways: through the Pope and the Magisterium of the Church, in the Bible (Jn. 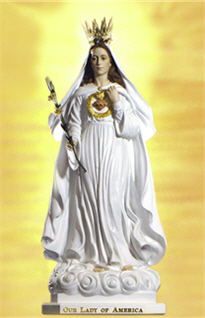 6), through his Blessed Mother in approved Marian apparitions, through the testimonies of Saints and Martyrs, through Eucharistic miracles, through Church approved messages given by Jesus by Divine Revelation, through our souls who long for Jesus in Communion, and through our suffering world which is in much need of prayer before the Blessed Sacrament. Unfortunately many of us disbelieve or have grown indifferent towards Jesus in the Blessed Sacrament. Most Holy Trinity, Father, Son, and Holy Spirit, I adore Thee profoundly. I offer Thee the Most Precious Body, Blood, Soul and Divinity of Jesus Christ, present in all the tabernacles of the world, in reparation for the outrages, sacrileges and indifference by which He is offended. And through the infinite merits of His Most Sacred Heart, and the Immaculate Heart of Mary, I beg of Thee the conversion of poor sinners. now Prefect of the Supreme Tribunal of the Apostolic Signatura.